This was a very decent, solid read that had me really engrossed pretty much from start to finish.The characters are likeable, and the plot itself is, in my opinion, a believable one. I liked the setting, it isn't one I have come across often in my reading experience. Looking at Goodreads this looks to be book 4 of a 6 part series which doesn't surprise me. There are elements of the book that screamed previous books to me, but at the same time the author didn't alienate me by making me feel I had to have read them to understand what was going on here. Previous knowledge may make some of the events here more impactful but I still got on well with this.I'd certainly read the rest of the series and will be adding them to my 'to read' shelf on here! Another good read from Katherine John, involving Trevor Joseph, this time in a drug related case. A bit gruesome in places but very believable. Katherine John makes the story so real that you feel like you are actually in the places she describes. Looking forward to the next book. Good storyline but I didn't like the way the story moved between characters so randomly, and so un obviously. I think it could have been written better and towards the end it was almost as if the word count had been reached so the finish was too conveniently wrapped up and very quickly. Black DaffodilDuring an undercover drug operation uncover officers start turning up dead. Question is do they shut down there operation or risk the lives of other officers? The question is answered once they go after family members. 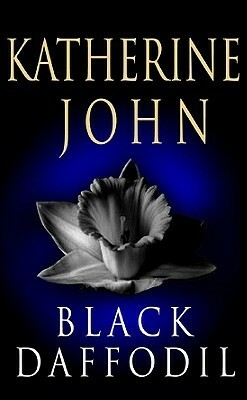 Great... Katherine is back on form, a really good read. Interesting story line. Kept me guessing right up until the end. Would read more books by this author. Took a while to find this series but glad I did. I've read the previous books in the series and found this one more difficult to really get into but, by the end, I was enjoying it. I'll be reading the next one soon! Reviewed by JeanaRiveting, spellbinding and can't put down novel. The surprise ending makes you wish that the novel still has a hundred more pages. Katherine John - Katherine John is a pen name of the author Catrin Collier. She was born and brought up in Pontypridd and worked for a while in Europe and America before returning to her native Wales. She now lives on the Gower Peninsula near Swansea, with her family.